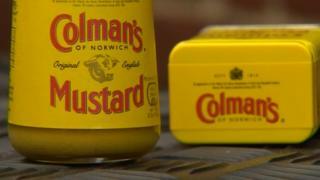 A decision on whether mustard manufacturer Colman’s is to remain in Norwich will be announced in the new year, its owner Unilever has said. The firm, which employs 113 staff in the city, shares its site with Britvic, which last week confirmed it would be leaving Norwich in 2019. Unilever is looking at whether to stay at the Carrow Works factory, move to another Norwich site or leave the city. Britvic is moving manufacturing to Rugby, east London and Leeds. Unilever said in a statement: “We are aware of Britvic’s confirmation that it will be withdrawing from our shared Norwich site. Colman’s Mustard has been manufactured at the Carrow Works site since 1860. Britvic currently employs 249 people at the site.